Craftfoam is a versatile material, ideal for a wide range of applications, from model making and floral art to product design and prototypes. 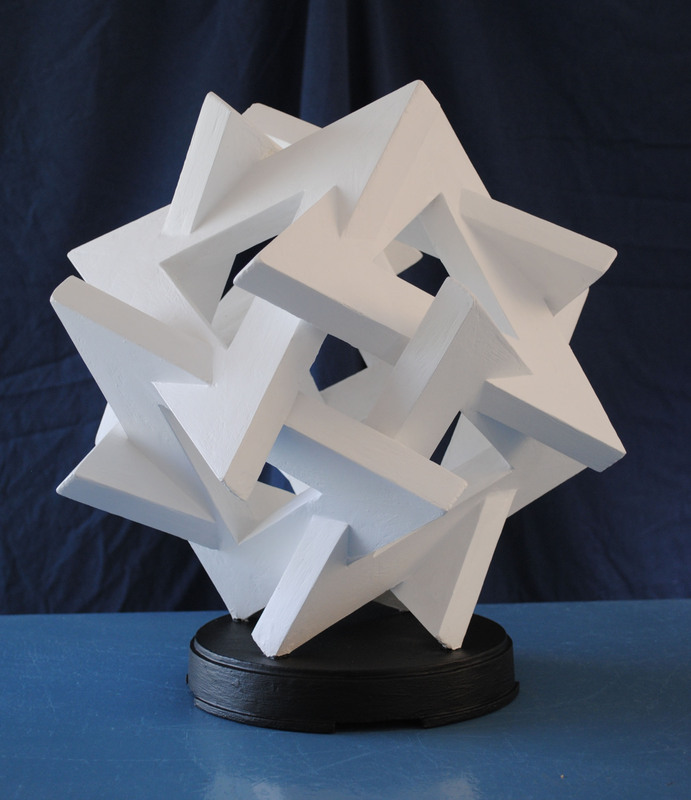 Craftfoam is a strong yet lightweight material which can be cut, sanded, planed and painted to create striking models, creative craft projects or professional product prototypes. The uniform small cell structure of Craftfoam, which is made from extruded polystyrene, guarantees the best finish for your project. Craftfoam offers a smooth surface which is ideal for painting and is also suitable for use with some pastes and resins. The high rigidity of Craftfoam means that it can easily be cut, shaped and modelled using a variety of tools. It is suitable for use with hand or powered knives and saws, drills and routers and a wide range of adhesives. 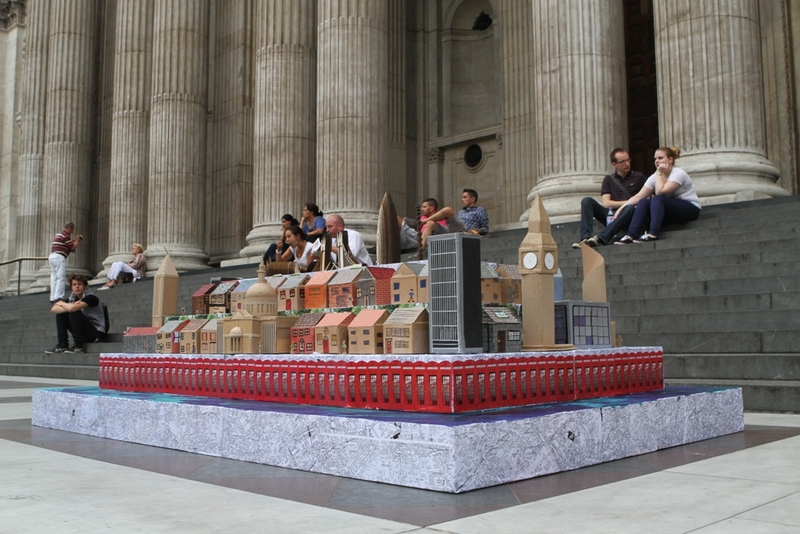 This really does mean that the only limit to what you can achieve with Craftfoam is your imagination! 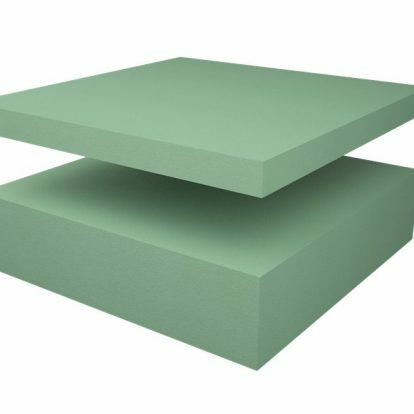 Craftfoam is available to buy from our website in handy sheet sizes and a range of thicknesses, with a choice of either blue or green colours. We can deliver to any location anywhere in the UK or you can collect your order from our dedicated warehouse in Sheffield, just off the M1 motorway. If you’re in need of a little inspiration for your next craft or model making project, take a look at our Inspiration Station for Craftfoam ideas, tips and how-to guides. 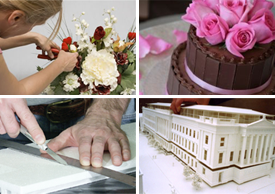 Craftfoam is popular with crafters, model makers, product designers, architects, flower arrangers and even cake decorators! The sky is the limit with Craftfoam as it can be cut, sanded, planed and painted to create just about anything! Popular with model makers, architects and product designers, the inherent strength of Craftfoam and its smooth, versatile surface means that it can be crafted to make intricate models and finished to a professional standard using paints, pastes and resin materials. Craftfoam is the material of choice for many florists thanks to its excellent moisture resistant and the fact that it is strong yet extremely lightweight. Craftfoam is also ideal for cake decorators for creating dummy cakes, either to showcase their work or to create fabulous multiple tier cakes for decoration. Craftfoam is not strictly for the professionals, of course. Many hobbyists make use of Craftfoam for a wide range of projects and it is widely used in schools for creating eyecatching children’s art. It’s simple and easy to create models, stamps, masks and much more. To help you get the most out of Craftfoam, we have created a helpful blog packed full of hints, tips and how-to guides for all sorts of projects. 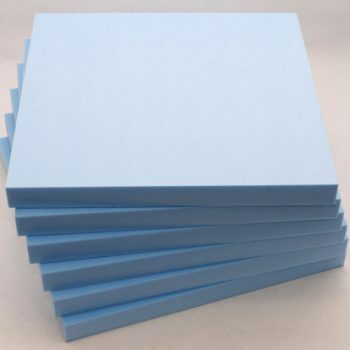 Craftfoam is available in handy sheet sizes, a range of thicknesses and with a choice of either blue or green coloured material, so no matter what your project, we have a solution to suit your needs. Cut it, shape it, model it, paint it! The versatility of Craftfoam is the reason why it’s the number one choice of material used by model makers, war gamers, flower arrangers and crafters alike. 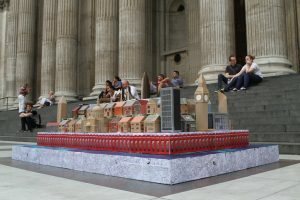 Extruded polystyrene is well-established as a model making material and Craftfoam has quickly become the product of choice for making everything from model boats and railways to architectural models and model scenery for table top games such as Warhammer. Craftfoam can be cut easily with a serrated knife, hacksaw or floral knife and its closed cell structure provides it with strength and rigidity, so that even when it is cut and carved it will hold its shape. With a wide range of sheet sizes and thicknesses and the ability to easily glue pieces of Craftfoam together, it is possible to make almost any shape. Once you have crafted your model, a realistic finish can be created using paints, pastes and resins. For the best results, paint Craftfoam with acrylic paints. Some spray paints can be used with Craftfoam but check first that they are compatible with foam plastic and avoid using solvent-based paints unless you are sure they are suitable for use with foam plastics. Our top tip for easy handling is to insert a floral pick or skewer into the foam shape to use as a handle. White craft glue is ideal for bonding Craftfoam and a low temperature glue gun can also be used. Out top tip to improve the bond is to rub two pieces of Craftfoam together before gluing. How to add special effects to Craftfoam? The possibilities are endless with Craftfoam and there are lots of ways to create different textures and shapes to create truly extraordinary models. For a smooth, rounded edge try ‘sanding’ the foam with another piece of Craftfoam. You can also create different textures by using plaster, gesso, modelling paste or other coating materials. Our top tip for creating a variety of fun shapes; use metal cookie / bakery cutters to cut shapes into thin sheets of Craftfoam, gently remove the shape from the cutter and sand. 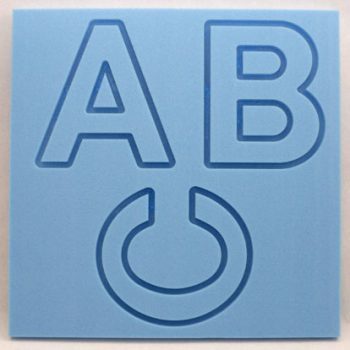 Craftfoam is ideal for creating moulds and is a proven material in the medical, educational and design industries. Craftfoam is extremely easy to work with, safe to handle and its strength makes it an ideal material for moulds, which can be re-used many times. The strength and rigidity of Craftfoam makes it ideal for precision moulding techniques. It has, for example, become the worldwide industry standard for precision shielding in the medical industry. Craftfoam can be cut to such precision to create moulds for alloy blocks that can shield patients during radiation therapy. Craftfoam can provide a highly cost-effective solution for advanced engineering and is compatible with a wide range of specialist machinery, as well as manual modeling techniques. 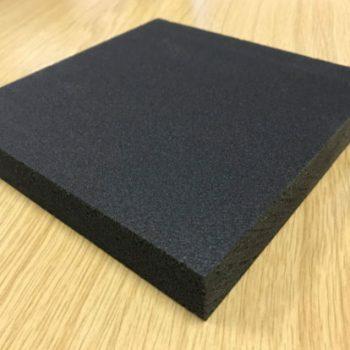 Architectural model making demands precision, strength and versatility which is why Craftfoam is the material of choice for many professional model makers. Craftfoam is well established with architects and model makers as an ideal material for creating 3D highly detailed, architectural models. 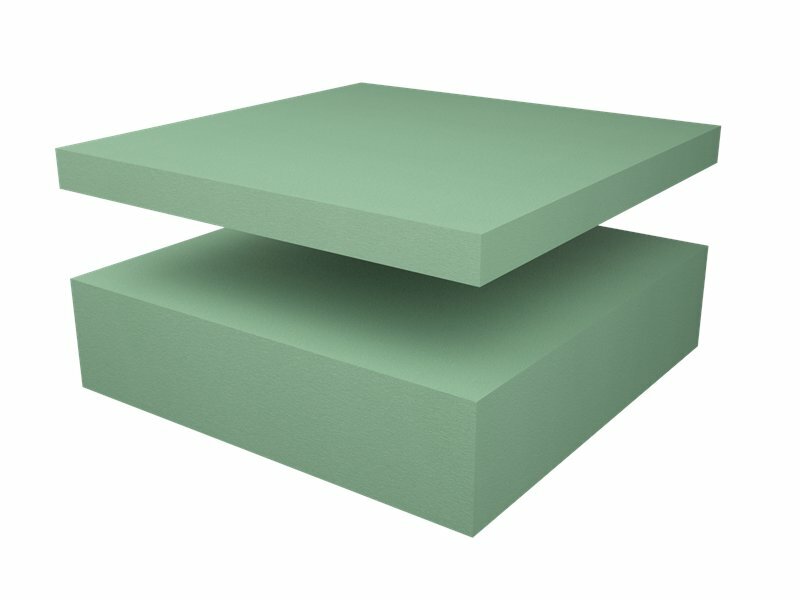 Craftfoam is recognised as the market leader thanks to its strength, uniform small cell structure and excellent surface. Craftfoam can be used with a wide range of drills, routers, carving tools, hand or powered knives and saws and adhesives, providing the versatility that is vital for architectural model making. Craftfoam is available to buy online in a range of handy sheet sizes, varying thicknesses and a choice of two colours, which means it really couldn’t be easier for you to source the ideal solution for your next project. One of the great things about primary school is having the opportunity to put your creative skills to the test. Things have moved on from papier-maché and now pupils are getting the opportunity to work with other materials, such as Craftfoam, which offer them really exciting decoration and model making opportunities. Teachers can be assured that Craftfoam is a tried and trusted material that is completely safe to work with. It is also light in weight and easy to cut into shape, although we recommend that only a competent adult does this! 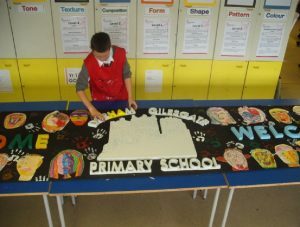 Recently Durham Gilesgate Primary School used Craftfoam for creating an innovative display to welcome visitors. The school selected blue Craftfoam, which they cut and shaped into the school name and a model of the building. They then painted it in a range of eyecatching colours and also produced masks to be used within the display. Another school we worked with created a six foot totem pole from white-painted Craftfoam, as part of their studies of different cultures – which looked amazing. Schools are constantly under pressure to come up with attractive and colourful displays and Craftfoam has proven to be a popular choice for displays throughout the year, thanks to its versatility. 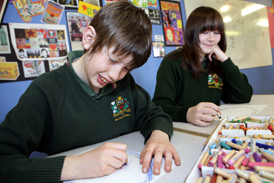 Pupils like the fact that they can simply decorate Craftfoam with water or oil-based paints, creating visually interesting displays that add interest and clearly demonstrate their abilities.